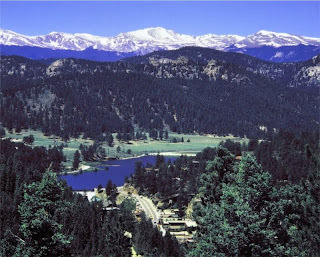 In the end Evergreen, Colorado won my heart. I've signed a six month lease for a furnished home there and will be moving on December 1st. It's a wonderful way to end the year and a perfect place to start the new one. I have a lot of work to do in the next month as I finish packing and make arrangements for the move. Once I get there, I'll have to start looking for a job and then eventually a house to call my own. But tonight, I just want to savor my happiness at the completion of one journey as I look forward to the beginning of another. My heartfelt congratulations, Suzanne. You made your way up those mountains just like The Little Engine That Could...and Did!